Panchkula, Feb 22 (IANS) Defending champions Minerva Punjab FC are all set to host northeastern outfit Neroca FC in their penultimate I-League home fixture with pride in mind here on Saturday. Minerva are currently placed in the ninth spot with 14 points from 16 games, while Neroca FC are placed fifth in the points tally with 26 points, playing one game more. In the first leg when Neroca FC hosted Minerva Punjab FC, the game ended in a goalless draw. The hosts have just garnered 1 point from their last six games and have not been able to garner a win since December 4 last year when they defeated Quess East Bengal 0-1 in Kolkata. What adds to their woes is the fact that the defending Champions have just scored twice in their last nine encounters. They move to the game on Saturday after facing a shocking 2-0 defeat to Indian Arrows in their last match. Meanwhile, the Punjab outfit played against Iranian Club Saipa FC in the AFC Champions League Preliminary Round 2 at the Shahr-e Qods Stadium in Tehran, which eventually they lost by a margin of 0-4. 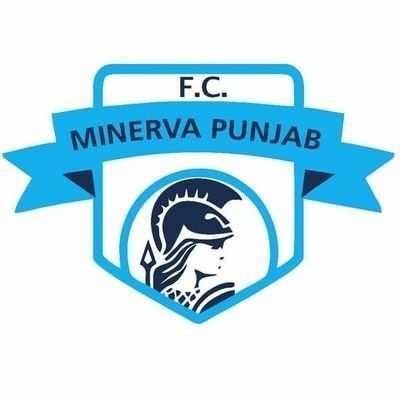 Minerva Punjab FC coach Sachin Badadhe, who got his AFC 'A' License of late said, "We are pretty confident for tomorrow's game after Neroca's performance in the last few games. We will be playing our game and hope the players will have the capacity to take what is coming." "We weren't able to concentrate in a few of our games but now the team is playing better. Our foreign players have started playing good football. We have been practising hard and are looking for positive results." Neroca FC, on the other hand, have lost three of their last six encounters having drawn twice and won one, fall short by a distance for the title contention. Meanwhile, the arrival of Bhutanese attacker Chencho Gyeltshen has only added more sheen to Neroca's attacking line. Coach Manuel Fraile said, "In the first game, we were very unlucky but I have seen my team who can perform better than the opponents. We have to give our best and take three points. Yes, we couldn't beat them at our home but we have another chance tomorrow at their home and we have to take this chance with both hands."